Alex from City Chic Living! 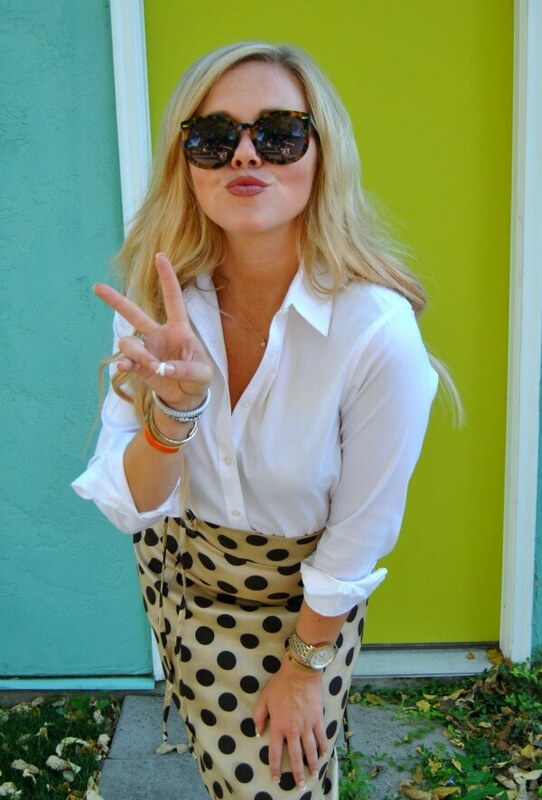 Here are our featured bloggers from last weeks LADYLIKE trend spin linkup. PS I was going to wear my favorite skirt, but unfortunately Fall is here and it was a little too cold for it. So instead I tried to put together a fun transitional outfit. I mixed these amazing fringe high heels from Steve Madden with my NEW FAVORITE scarf. Who doesn’t love a good layered fall outfit? I think this is my absolute favorite season to dress for. Also with the current cooling weather in Utah, it is the perfect time to layer on those clothes. Bloggers : All bloggers will be able to submit their post links via the inlinkz widget below every Tuesday at 8:00am CST with their take on our trend of the week. This will allow bloggers to show off their personal style, find new followers and meet some great fashionistas! You will also have the chance to be featured on our blogs the following Tuesday (if you make sure to link back to Laura and my blog) ! So grab the button and link up. 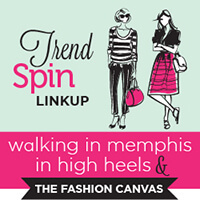 = ) For all bloggers we simply ask that you please follow your 4 hosts – Walking in Memphis in High Heels, The Fashion Canvas, and Chic City Living (the first 4 links in the linkup) and provide a link to the Trend Spin Link-up in your post or add the button below to your blog. Don’t forget to stop by everyones blogs to see how they wore the trend today. Leave a comment on my blog, and also on at least 5 other blogs! 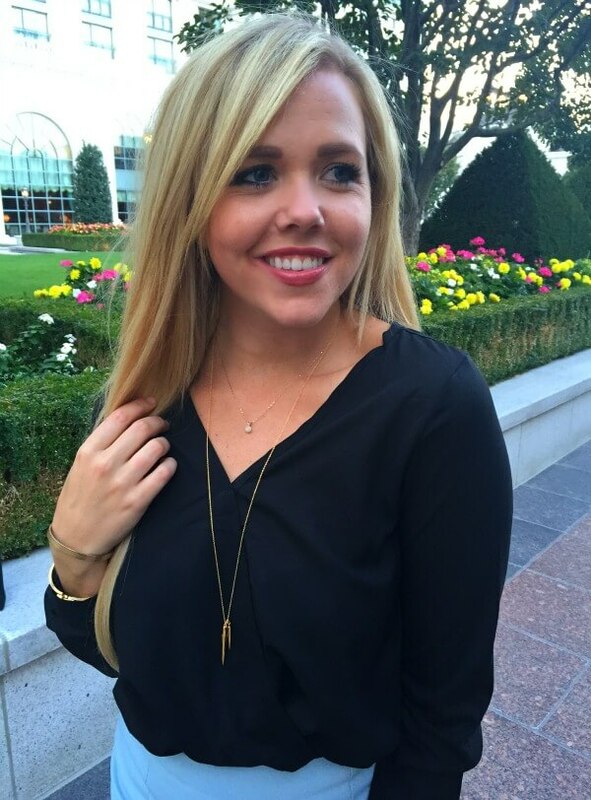 Court from The Dainty Darling! 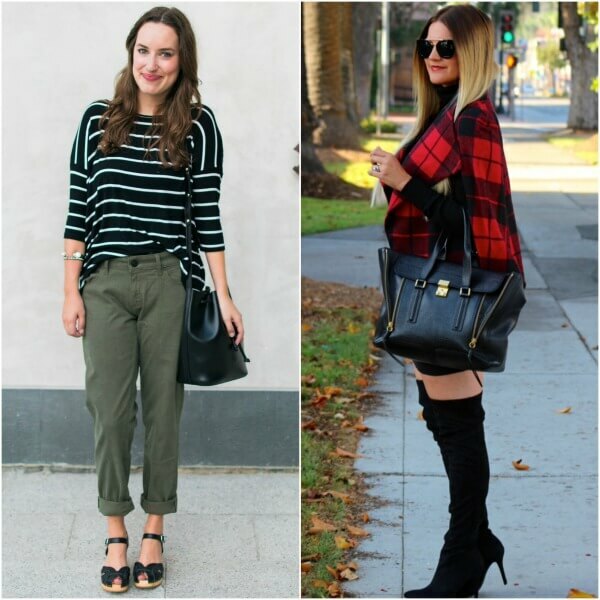 Here are our featured bloggers from last weeks FALL FASHION trend spin linkup. 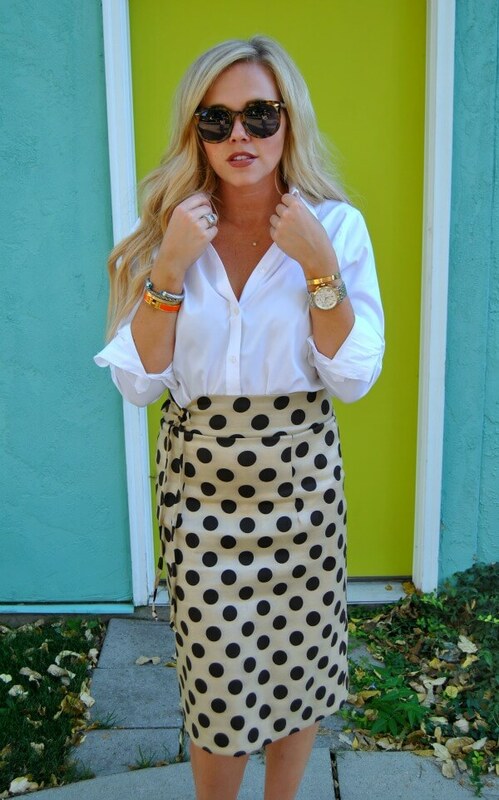 Pull out those pearls, skirts, gloves and anything that makes you feel like a true lady. Today I opted for a crisp white blouse and a tight feminine pencil skirt. I don’t think there is a classier combination, and I got a million compliments the day I wore this. 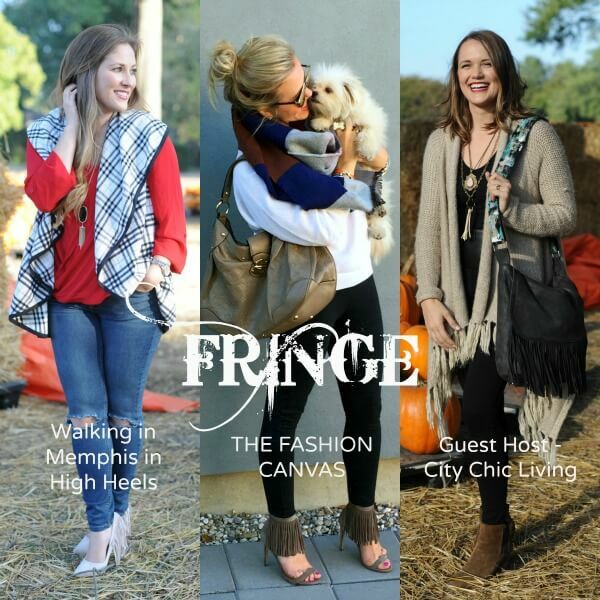 Next week’s trend is FRINGE! I have this fringe skirt that I absolutely LOVE…I can’t wait to share it here next week with you guys! Bloggers : All bloggers will be able to submit their post links via the inlinkz widget below every Tuesday at 8:00am CST with their take on our trend of the week. This will allow bloggers to show off their personal style, find new followers and meet some great fashionistas! You will also have the chance to be featured on our blogs the following Tuesday (if you make sure to link back to Laura and my blog) ! So grab the button and link up. 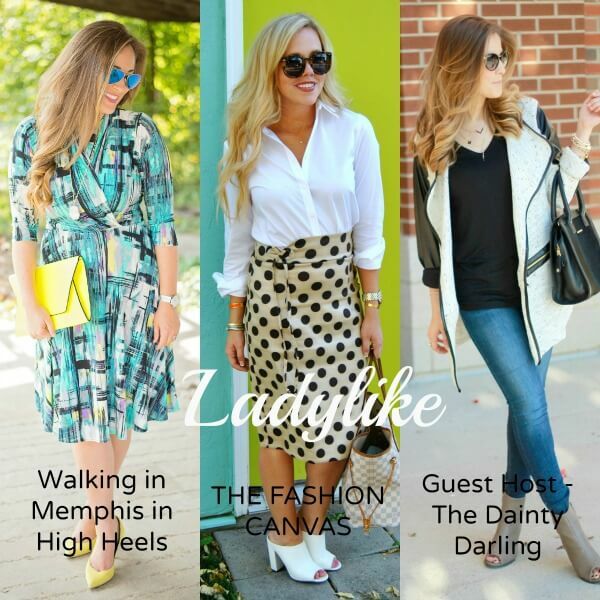 = ) For all bloggers we simply ask that you please follow your 4 hosts – Walking in Memphis in High Heels, The Fashion Canvas, and The Dainty Darling (the first 4 links in the linkup) and provide a link to the Trend Spin Link-up in your post or add the button below to your blog. Don’t forget to stop by everyones blogs to see how they wore the trend today. Leave a comment on my blog, and also on at least 5 other blogs! Anyone else have the Monday blues today? I had such a great weekend, and didn’t want it to end. Rocksbox is a monthly subscription service (think Rent The Runway, but with accessories and longer rental periods) where you can rent exclusive jewelry from big brand named designers, including Kendra Scot, Gorjana, House of Harlow, Loren Hope and the list goes on and on. When you first sign up, you are given a stylist and are asked to make a wishlist so that they may evaluate your personal style and send pieces relevant to your preferences. Three pieces of jewelry are sent to you at a time, and you can keep them for as little or as long as you want (with a discounted purchase option as well). They make everything from picking out items to sending back the pieces once you are done as simple as possible! get your first month FREE with code THEFASHIONCANVASXOXO! You can sign up for a single month, three months, or six months of service. If you stay on top of the service, you could probably get as many as 2-3 shipments a month, which means you are constantly updating your wardrobe for a fraction of the price! Just wanted to let you know about Shopbop’s AMAZINGLY HUGE sale for Friends & Family! This sale is going on now through Thursday, so get shopping before all the items you want are gone. Use code INTHEFAM25 to take 25% off your order, some exclusions apply.